Here’s the secret to profitable club operations: always remember that choosing a club is like choosing a second home. The club is a place to relax with family and friends, to enjoy your surroundings, to be active, or to grab a delicious meal. It’s more important than ever to help current and prospective members see your club as their home, and that the club is profitable. Each piece of the member experience is of equal importance, and it’s essential that we have a holistic understanding of your club operations. We spend the first month experiencing each aspect from the perspective of a member and an associate to gain a more comprehensive look into where you perform well and where there are opportunities for growth. We analyze historical and current financial data, membership levels, branding, marketing materials, digital presence, facilities and more. After we become fluent in your club’s culture, we explore opportunities to reduce expenses, streamline processes, train associates, promote events, create new opportunities for revenue through special events, expand the target demographic, and evaluate the membership price structure and application process.  Up to Par also offers a dedicated sales representative to generate leads for special events and facilitate event planning. When you contract us to manage your club operations, our goal is to improve the overall club experience, recruit new members, retain current members, and deliver positive financial results. For more information about our Proven Golf Operations Management, click here.